In the 9th century, Kenneth MacAlpin (Cionnaith mac Ailpin) merged Dalriada or Dál Riata, the Kingdom of the Scoti, with the Kingdom of the Picts. The new kingdom, known as Alba, would eventually become Scotland and Kenneth MacAlpin is traditionally credited with being the first King of the Scots. However, Alba was many years from being a unified state with defined borders. MacAlpin’s successors battled internal as well as external foes in order to merely secure their position; few of them died peacefully in their beds. By the end of the 10th century, the Scots controlled Strathclyde and Lothian. By the 11th century, squabbles, first with the Earls of Northumberland and then with the Kings of England, frequently saw the King of Scotland coming off worse. During the reign of Malcolm III, the court and clergy were dramatically Anglicised under the influence of the King’s second wife, Queen Margaret, an Anglo-Saxon princess who had been raised at the court of Edward the Confessor. By the 12th and 13th centuries, marriage and the introduction of the feudal system meant that lowland Scotland was very much part of the Norman world. Many of its aristocrats had Norman blood and some (including the King of the Scots) had lands in England. The French-speaking elite squabbled amongst themselves and theoretically ruled over a population that spoke Scots in the Lowlands and Gaelic in the Highlands. Government of the Highlands, however, still relied on kinship, where the rule of the clan chiefs – effectively tribal leaders – was supreme. The Western Isles, Orkneys and Shetland were ruled by the King of Norway until the 13th century. The Scots held the Norwegians off at the Battle of Largs (nice little town on the west coast, good ice-cream parlour) in 1263 and, three years later, the Western Isles (and the Isle of Man) became Scottish. However, an absence of unity and common purpose amongst the Scots was often a stumbling-block in nation-building. Having a large and powerful neighbour to the south was both a temptation and a threat. In theory, the boundaries between England and Scotland had been settled in 1237 by the Treaty of York – though this did not stop both sides raiding each other’s border areas. But the stakes were raised, far beyond a bit of sheep stealing, by Edward I of England – because he aspired to a unified island of Britain which, naturally, would be ruled by the King of England. You could argue that Edward was the father of Scottish (and Welsh) nationalism; perhaps, if he’d acted differently, common ground would have resulted in some form of union 400 years sooner, and saved a lot of unnecessary bloodshed. As it is, Edward is known to history as ‘the Hammer of the Scots’. The sudden accidental death of King Alexander III in 1286 meant that the heir to the Scottish throne was his infant granddaughter, Margaret, both of Alexander’s sons having predeceased him. Edward, keeping a keen eye on affairs, was keen to engage his son (the future Edward II) to the young heiress, which would have joined the two kingdoms by marriage. But Edward’s plans were upset when Margaret, known to history as ‘the Maid of Norway’ (because she was the daughter of the King of Norway), died in Orkney on her way to Scotland in 1290 at the age of four. 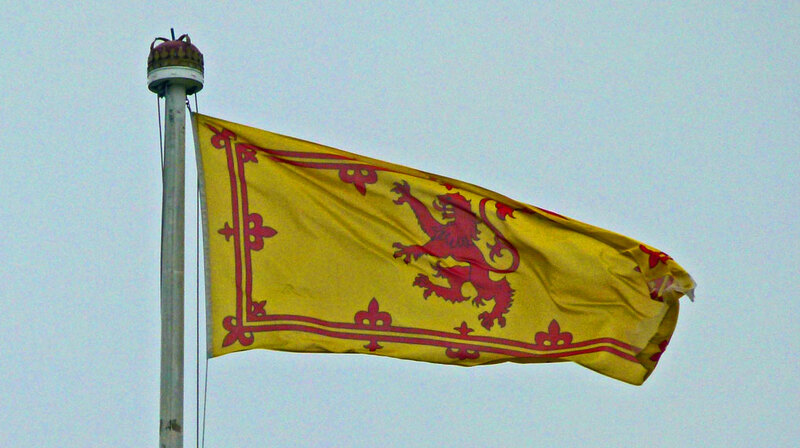 This put the Scots nobility into a bit of a fankle: who should rule? 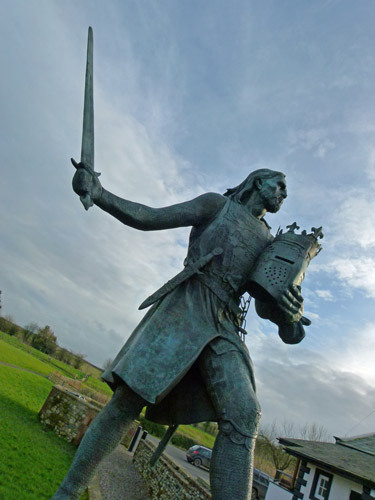 It boiled down to two main contenders – Robert Bruce of Annandale and John Balliol (both of whom were aristocratic Normans, incidentally). The Scots asked Edward, as the most powerful lord in Britain, to arbitrate; and, in 1292, he chose Balliol. Some say that Balliol was a mere puppet of Edward’s – he is sometimes known derisively as the Toom Tabard – “empty coat”. But when Edward made it clear that he expected Scots support for his wars in France (he was a busy chap, was Edward), Balliol allied himself with the French. Furious, Edward invaded in 1296, massacred the inhabitants of Berwick upon Tweed (at that time an important Scottish port), decisively defeated Balliol in battle at Dunbar, took him prisoner and, for good measure, pinched the Stone of Destiny on which the Kings of the Scots had been traditionally crowned. There was no King of Scotland, the Scottish nobility paid homage to Edward and the Scots were for all practical purposes under English rule. The Stone of Destiny was returned 700 years later, in 1996. A rebellion began in 1297, led by the legendary William Wallace (or Mel Gibson). Probably the son of a minor landowner, Wallace came to prominence by leading a successful attack on Lanark, killing the English sheriff, Sir William Heselrig, in the process. The story goes that Heselrig had murdered Wallace’s wife and that Wallace retaliated by the ghastly dismembering of Heselrig’s corpse. 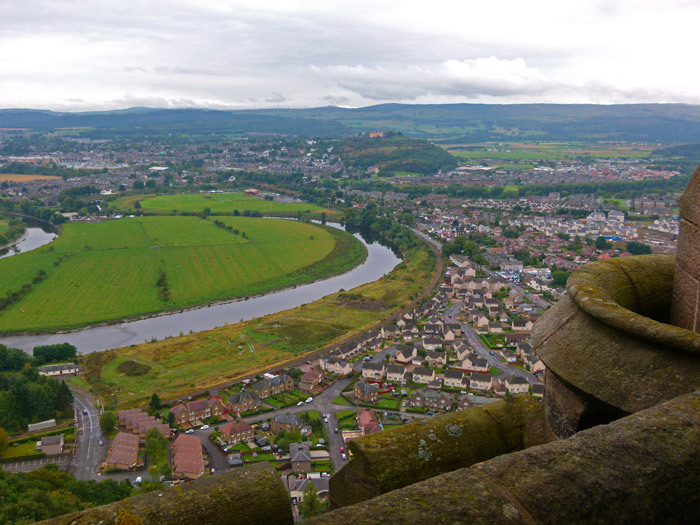 He went on to wage a successful guerrilla war against the English, culminating in the defeat of a considerably larger English army at Stirling Bridge in September 1297, with the help of Andrew de Moray (Andy Murray). 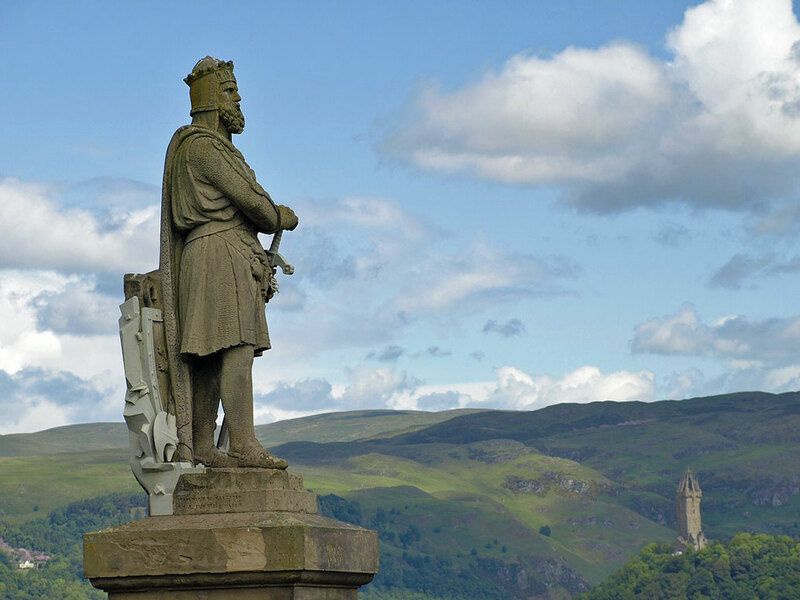 Wallace was knighted, allegedly by Robert the Bruce, and made one of the Guardians of the Kingdom of Scotland. More triumphant hit and run tactics followed, but in July 1298 the Scots were heavily beaten at the Battle of Falkirk. 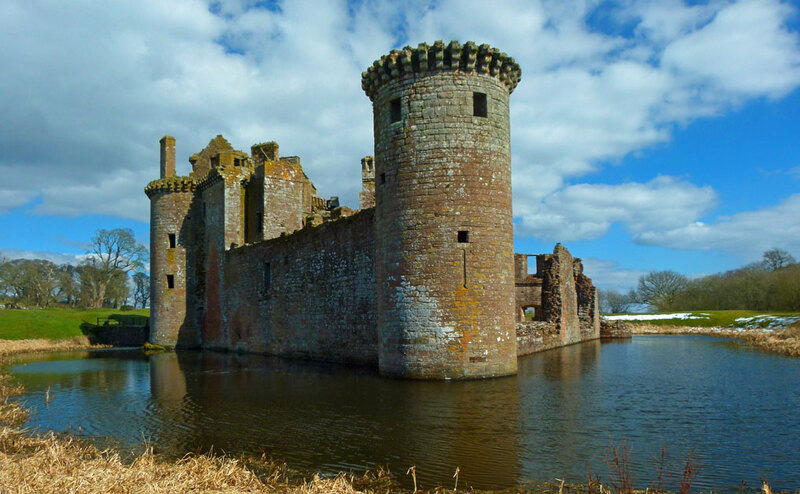 Wallace went abroad to plead Scotland’s cause, returning in 1303. In August 1305, he was betrayed, captured by the Scottish knight Sir John de Menteith at Robroystoun near Glasgow, taken to London and put on trial for treason. Wallace denied the charge, pointing out – reasonably, but possibly naively – that he had never sworn allegiance to the English King so how could he be a traitor? Inevitably, he was deemed guilty and hanged, drawn and quartered at Smithfield. A memorial stands near the spot today. The Bruce (de Bruis) family had supported Edward’s invasion of 1296. But young Robert the Bruce allied himself to Wallace and, murdering his adversary John Comyn along the way, managed to get himself crowned King of Scotland in 1306. Death near Carlisle thwarted Edward’s personal ambitions (well it would, wouldn’t it?) and the mantle passed to his somewhat disengaged and allegedly damp son, Edward II. For years, Bruce fought a guerrilla campaign against the English and other Scots, gradually building his power base until Edward II couldn’t ignore him any longer. A massive English army was assembled to relieve the garrison at Stirling Castle, which Bruce’s brother (another Edward) had under siege. In the shadow of the castle, close to the Bannock Burn, Robert the Bruce’s force roundly defeated the much larger English army over the 23 and 24 June 1314. Rumour has it that the English didn’t stop running until they got to Dunbar, 60 miles away. Bannockburn effectively sealed Scottish independence, but Bruce drove the point home by a series of brutal raids into northern England. Scottish independence was recognised by the Pope in 1324 through the Declaration of Arbroath (1320) and by the new English King Edward III under the Treaty of Northampton in 1328. Subsequently, Edward III decided he’d signed the treaty under duress and invaded Scotland in 1333. But, despite that, and although the Scots and English were frequently at odds over the centuries, the fact is that, under Bruce, Scotland became “separate in all things from the Kingdom of England.” And it stayed that way until a Scottish King became King of England in 1603. That king, James Stuart, was Bruce’s direct descendant. Bruce’s daughter, Marjorie, married Walter, 6th Lord Steward of Scotland and their son was the first Stuart King of Scotland, Robert II, who reigned from 1371-1390. The name ‘Stewart’ or ‘Stuart’ is derived from ‘Steward’.